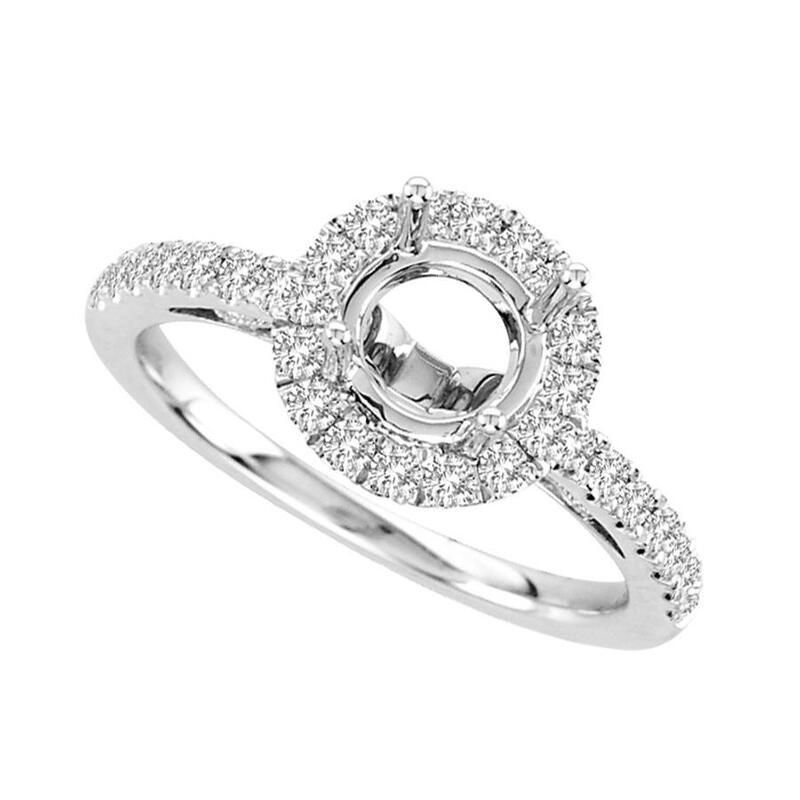 Round Diamond Halo Semi Mounting with Diamonds on the Shank. The Semi mounting accommodates a 6.0mm round diamond. There is a Filigree design on the profile of the shank. The mounting fits flush to Matching Band #BT2377-W.